Simply put: the smallest, fastest, most feature-rich PDF software available. Create, view, edit, annotate, OCR* and sign PDF files – and that’s just the beginning. If you work with PDF then this fully-customizable product will optimize your work process to levels that no other product can achieve. PDF-XChange Editor can be used to create PDF files from scanned documents, images, text files, Markdown files and much more. This software can also be used to convert Microsoft Office documents into PDF** – a feature that many PDF applications do not offer. There are over a hundred features available, including more than thirty tools that can be used to assist in the creation of document comments, annotations and links. These tools make editing PDFs a finely-tuned, precision process that produces documentation and image files of the highest quality. Our user-friendly functionality is diverse enough to meet the needs of all practitioners from novices to professionals. Please see below for an extensive list of all available features and functionality. *The OCR process identifies text in documents and uses it to create an invisible text layer that is placed on top of the existing text. **Please note that source files must be text-based in order to be converted into editable text. 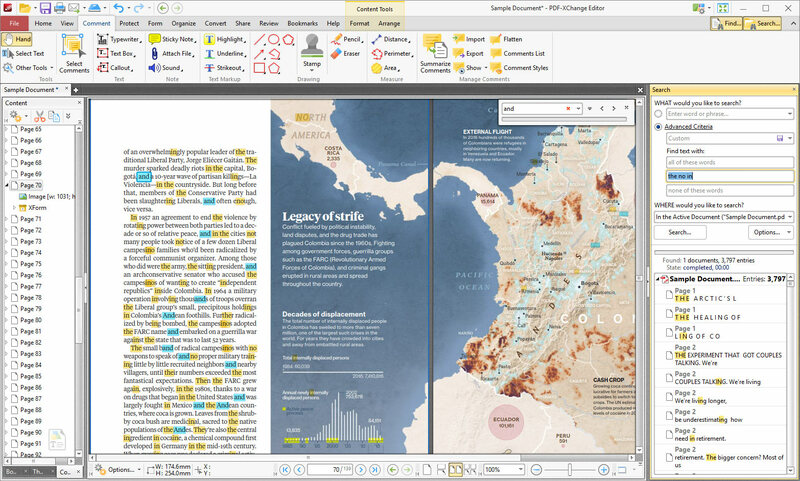 The Enhanced OCR plugin is now available as an optional extra in PDF-XChange Editor. It is more accurate, dynamic and faster than the default OCR engine, and contains a range of extra features. Further information on this plugin is available here. Free stamp collections to use in conjunction with PDF-XChange Editor are available here. Please note that if it is intended to incorporate and/or distribute this software with other software for commercial profit then you must first gain permission from Tracker Software Products. Click the thumbnails below to view full-size screenshots. The OCR Selected Region feature can be used to perform optical character recognition on areas defined by the Snapshot or Crop Tool. Use the Quick Launch feature to search for and launch commands in PDF-XChange Editor. The Paste as Plain Text feature can be used to paste copied text into documents as plain text. The dictionaries for the Spell-Check feature have been updated in V8. The new Overtype feature makes it possible to type over existing text. Press Insert to enable/disable this feature. The Resources Updater feature makes it possible to update languages for OCR, Spell Check Dictionaries and other resources without the need to restart the application. The CSVToPDF plugin has been added in this build, which makes it possible to convert CSV file data to a PDF table. It is now possible to transform selected content via the Arrange tab. The "Move to Trash" feature makes it possible to move open documents directly into the recycle bin. New commands have been added in this build that make it possible to convert line annotations to distance annotations, and polyline annotations to perimeter annotations. New SharePoint options have been added in V8 - options for a default version and comment used during automatic check-in, as well as an option to recreate all necessary folders when saving files to a non-existent path. 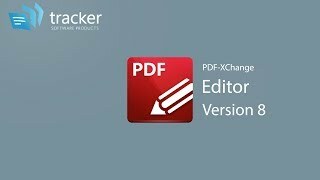 As usual, a range of features, improvements and bug fixes have been made in this release of your favourite software for the viewing, editing and creation of PDF documents - PDF-XChange Editor. Please see the Version History for further information. Utilize a broad range of Editing Tools, document enhancing features, navigation panes and page editing options to edit and update your PDF documents. Switch between the Classic/Ribbon UI and optimize the user interface for mouse or touch-based interaction as desired. Add comments and annotations to documents in a variety of formats including geometric shapes, text boxes, hyperlinks and audio files. Create, print and email documents. Combine existing PDFs into a new document. Create PDF documents directly from scanned material. Convert documents to MS Word, Excel and Powerpoint formats. Note that PDFs converted to MS Word format are compatible with MS Word 2010 and later. Enjoy 40/128 bit RC4 and 128/236 bit AES Encryption that maximizes your document security. Inherent Data Execution Protection functionality saves your files from malicious malware and viruses. Use digital signatures to further enhance your security and add timestamp server verification as desired. Utilise an array of preferences to customize your user interface and default options. Create your own toolbars and use the launch options to add convenient links to third-party applications. When you buy a licensed version of PDF-XChange Editor you will receive a free copy of Tracker Software's cutting-edge virtual printer PDF-XChange Lite absolutely free. Use the Set Bookmark Zoom Type feature to determine the zoom level for bookmarks. Use the Merge Pages feature to merge split pages. Use the Content, Bookmarks, Thumbnails, Named Destinations, Attachments and Fields panes, amongst others, for harmonious document browsing and editing. Use the Export feature to export selected content to MS Word, Excel or Powerpoint formats. Please note that source files must be text-based in order to be converted into editable text. Additionally, please note that this is a licensed feature. If this operation is performed without a license then the output documents will be password-protected. PDFs converted to MS Word format are compatible with MS Word 2010 and later. 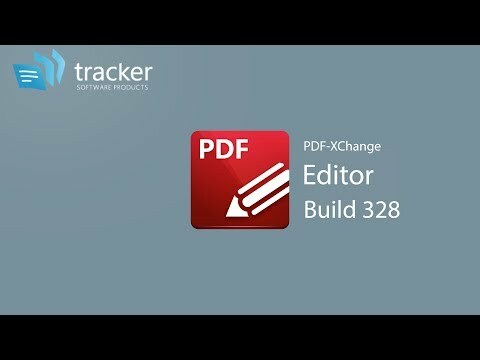 Use PDF-XChange Editor to edit the base content of documents. Please note that a license is required to edit all content except for text-based content. The Edit Content Tool can still be used to edit non-text based content in unlicensed versions, but evaluation marks will be added when documents are printed/saved. Use the weblinks feature to convert document URLs into weblinks, or remove weblinks from documents, at the click of a button. Use the Hand Tool to browse seamlessly through documents. Use the Select Text Tool to select base content text in documents. Use a range of image-editing options to edit document images. Replace, Recompress, Save and/or OCR images. The OCR process identifies text in documents and uses it to create an invisible text layer that is placed on top of existing document text. Use the Add Text feature to add text to documents at the base-content level. 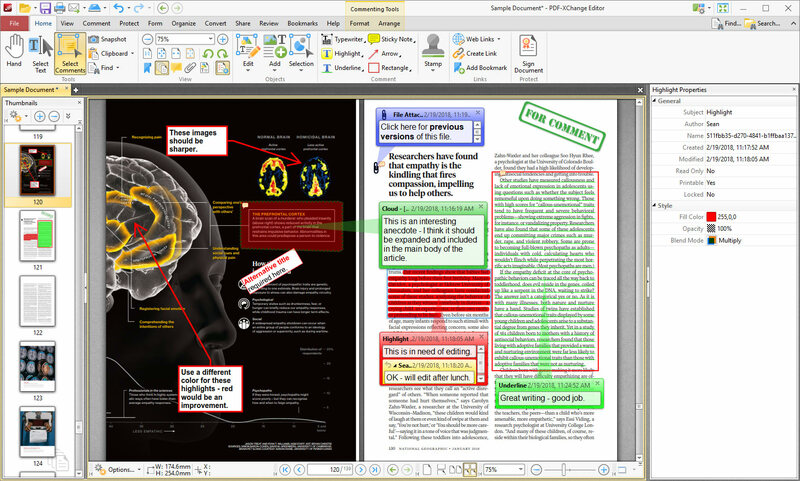 Use fully-customizable editing tools to highlight, strikeout and/or underline document text. Use the Transform Selection feature to edit the size, location and rotation of selected content items. Use the Duplicate Content feature to create copies of selected annotations or content items. Specify horizontal/vertical/page offsets as desired. Use the Selection options to copy, cut, delete or zoom to selected content as desired. Create new stamps from selected content, then use the Stamp Tool to add them to documents. Convert selected content into new documents at the click of a button. Use the Arrange options to align, distribute and/or homogenize selected items. Avail of a range of advanced options for the creation, manipulation and management of bookmarks. Export content directly into third-party applications for editing. Content updates instantly in PDF-XChange Editor when it is saved in third-party applications. The Content Pane enables the direct selection and editing of document images, text and other content. A dynamic range of editing options is available for selected content items. Use the Bookmarks Pane to view, edit, create and update document bookmarks. Use the advanced document spell-check feature to ensure documents are error-free. Utilize the Fields Pane in order to efficiently view, edit and manage document form fields. Use the Snapshot Tool to take snapshots of the current document view that copy to the local clipboard in bitmap format. Use the New Document Window feature to view the same document in multiple windows that update simultanesouly when documents are edited. Use the Guides feature to align document content and the Rulers feature to check the size of document objects. Enjoy the ability to edit existing PDF content such as text and shapes, permanently remove content with the redaction feature and measure dimensions with the advanced Measurement Tools. Please note that it is not possible to edit scanned material. The Thumbnails Pane provides a quick and efficient way of viewing and editing document pages. Enable the Snapping feature to align the edges of comments, annotations, images and other content flawlessly to grids, guides and/or objects. Use the redaction feature to remove content permanently from documents. It is now possible to add, remove, reorder and add text labels and comments to document layers in PDF-XChange Editor, as well as show/hide all modifiable layers as desired. Use the Typerwriter Tool to add text-based comments to documents. Use the Fit Box by Text Content feature in conjunction with the Text Box, Callout and Typewriter tools to fit the size of the boxes that these annotations use to the custom text that they contain. Use the Text Box and Callout Tools to add text boxes and callout annotations to documents. Use the customizable Line and Arrow Tools to annotate documents. Choose between a range of default styles or create your own styles. Use the Rectangle and Oval Tools to add shape annotations to documents. Choose between a range of default styles or create your own styles. Use the Polygon and Polyline Tools to add polygon and polyline annotations to documents. Choose between a range of default styles or create your own styles. Use the Cloud Tool to add cloud annotations to documents. Choose between a range of default styles or create your own styles. Use the Pencil Tool to add fully-customizable freehand annotations to documents. Use the File Attachment Tool to embed files into documents. Select from a range of customizable icons to represent embedded files in the parent document. Use the Comment Styles Palette to create, edit and utilize customized comment styles for twenty different formats of comments and annotations. Each format features a range of default styles that can be cloned and updated as desired. Use the Distance Tool to measure distances in documents. Choose from a range of customizable arrow annotations to represent measured distances. Use the Perimeter Tool to measure perimeters in documents. Choose from a range of customizable annotations to represent measured perimeters. Use the Area Tool to measure areas in documents. Choose from a range of customizable annotations to represent measured areas. Use the Flatten Comments feature to flatten comments and convert them into base document content. Use the Summarize Comments feature to create customizable summaries of document comments. Use this feature to export document comments to a data file. Add interactive annotations to documents such as geometric shapes, arrows and freehand lines. Unlike the Adobe Viewer, PDF-XChange Editor does not require the PDF creation tool be to Adobe-certified. Use the Stamp Tool to designate the status of documents. Choose between a range of default stamps or create your own stamps from selected content, images or files. Use the Stamps Palette to view and manage stamps. Add Sticky Note annotations to documents and enchance the editing process. Unlike Adobe products, PDF-XChange Editor does not require the PDF creation tool be to Adobe-certified. Use the Sound Tool to add audio content to documents. Upload a sound file or use a microphone to record the file. Several default icons are available to represent the sound file, and they can be customized as desired. The new options in the document tab right-click menu enable the duplication of tabs and the closing of tabs to the right/left of the selected tab, or the closing of all tabs except the selected tab. Inherited Zoom can be used in the creation and modification of Named Destinations. Use the Spreadsheet Split to split the view of the current document into four identical sections and enhance the editing process. Save documents that were opened from external repositories such as SharePoint, Google Drive and OneDrive to their original location when these documents are digitally signed. Use the OCR engine to make image-based text searchable and selectable. Available in multiple languages. The OCR process identifies text in documents and uses it to create an invisible text layer that is placed on top of existing document text. Convert a wide range of industry-standard file formats, including MS Word, Excel and Powerpoint files, into PDF. Please note that a license is required to convert some formats. Email documents directly from the main window of PDF-XChange Editor, saving time and maintaining workflow efficiency. Use the Read-out-Loud feature to launch the document playback feature. PDF-XChange Editor will then read all selected document text out loud. Use the Add/Remove Headers and Footers features to add/remove headers and footers such as page numbering and dates. Use the Find and Search features to locate specific document text in open documents or in folders on the local computer. Use the Zoom Tool to zoom in on/out from documents. Convert from PDF to Plain Text, MS PowerPoint, MS Word, MS Excel, PDF/A and PDF/X formats. Note that a license is required to convert to .pptx, .docx and .xlsx formats. If these operations are performed without a license then the output documents will be password protected. Source files must be text-based in order to be converted into editable text. PDFs converted to MS Word format are compatible with MS Word 2010 and later. Split the view of the active document in order to view/edit different document sections simultaneously. Use the file integration features to open documents located on 'the cloud' and enjoy full Sharepoint, Dropbox, Google Drive and MSOffice 365 integration. Use the Rotate Pages feature to rotate document pages. Print active documents and enjoy a range of printing options – collate pages, specify page ranges, scale and zoom before printing, set page orientation, add watermarks – and much more. Use the Extract Pages feature to extract pages/page ranges from documents to a new file. The Loupe Tool launches a secondary window that displays a zoomed view of the current document. This enables dynamic viewing and editing options. Use Macros when saving watermarks, stamps and documents in order to simplify complicated elements of the input process. Use the Crop functions to crop pages and/or page ranges, with the option to delete cropped content as desired. The Pan and Zoom Pane displays a minitature of the current document page and enables smooth and easy navigation. Use the Swap Pages feature to swap the location of two document pages. Use the Move feature to move groups of pages to a new location in the active document. Use the Save As Optimized feature to optimize files and reduce their file size as they are saved. Use the Bates Numbering feature to add/remove Bates Numbering to/from files. Avail of a range of document creation options. Create blank PDF documents, combine existing files into a single PDF document, create PDFs from text files, .rtf files, image files or directly from scanned material. Use the Calibration feature to determine customized scales for use in conjunction with scaled content. Use this feature to export document measurement data to a CSV (comma separated values) Excel file. PDF-XChange Editor includes functionality to create PDFs directly from .markdown files. Use the Export/Import Security Policy feature to export your security policies to file and then import them subsequently as required. 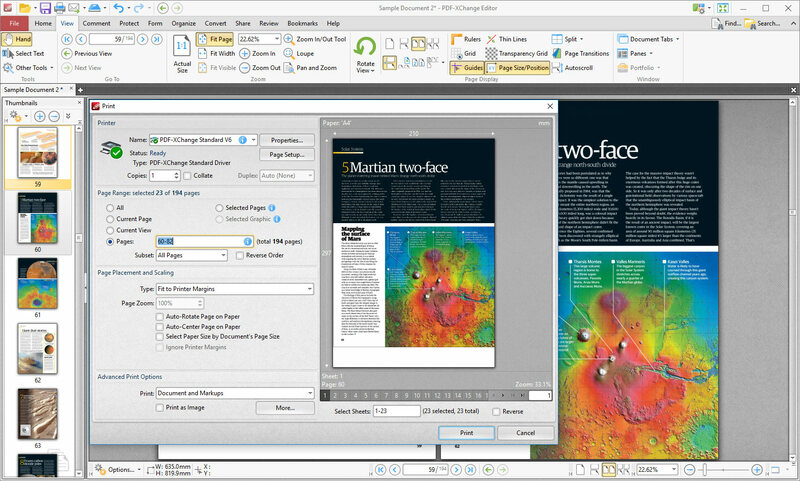 PDF-XChange Editor Plus features a range of dynamic form-creation options. Add buttons, check boxes, radio buttons, list boxes, dropdown menus, digital signature fields and/or barcodes to documents. Adjust form properties to avail of a range of hugely customizable style, layout and dynamic options for forms. Use the Digital Signatures feature to add digital signatures to documents. Avail of advanced Data Execution Protection that prevents the exeuction of harmful scripts, malware and other viruses when opening files, attachments and websites. Use the Number Pages feature to create multiple number ranges to assist in the navigation and editing of documents. Avail of several customizable style options, such as Roman numerals and page prefixes. Use the dynamic form property options to calculate and/or validate values entered into form fields. Use Guides to ensure aesthetic harmony, Rulers for exact measurement and Snapping for fast-paced accuracy. Add customized watermarks in order to personalize documents and avoid counterfeiting. Use the Remove Watermarks feature to remove unwanted watermarks. Use the Certify features to certify documents. PDF-XChange Editor supports both visible and invisible certification. Add images to documents and avail of a range of image-editing options. Use the Timestamp feature to add multi-purpose timestamps to documents. Add fully-customizable backgrounds to documents. Use the document Security Policy settings to create and utilize advanced security policies for documents. Use Password and Certificate security to protect documents, and determine Encryption and Permissions settings as desired. Enjoy 40/128 bit RC4 and 128/236 bit AES encryption password and permission settings that heighten document security and enable the author to determine access/editing privileges for subsequent users. Add barcodes to documents as a concise method to store detailed information. The Customize Toolbars feature of PDF-XChange Editor enables both the customization of the default toolbars and the creation of user-defined toolbars and ribbon tabs. Group your favorite commands together in one convenient place to streamline your workflow process. Use the language options to convert the UI language into your language of choice. English, Spanish, German, French and many more are avaialble by default. Use translation software integration to translate document text. ABBYY Lingvo 12, Translate it!, Lingoes and many more translation programs are supported. PDF-XChange Editor opens documents in fully-customizable tabs. Arrange documents as you desire within multiple tab groups of the same window. 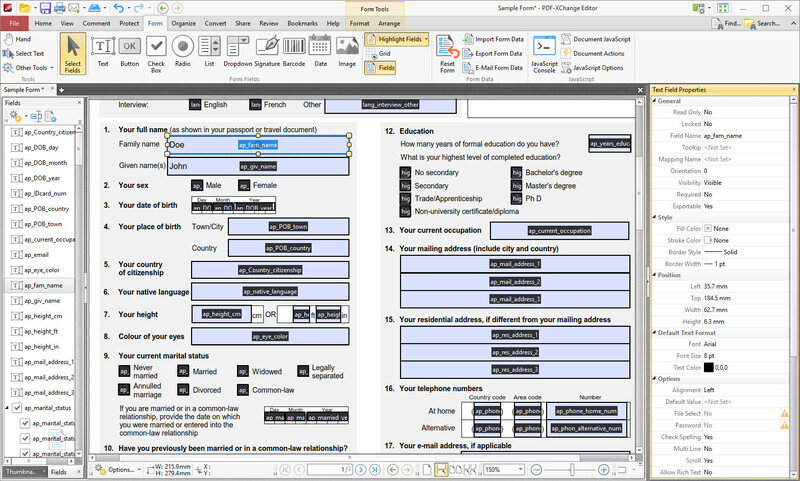 PDF-XChange Editor supports the use of multiple frames, which means it is possible to view multiple documents that feature unique local panes. Use the docking feature to attach new frames at optimal locations in the user interface. Add convenient links on the lower UI toolbar to third-party applications for use in conjunction with PDF-XChange Editor. PDF-XChange Editor features fully-customizable editing panes that can be toggled, reordered and repositioned in the main window as desired. Use browser plugins to avoid compatibility issues when working in multiple environments. Please note that this is a licensed feature. Use the Export Settings feature to export customized settings to file. The Import Settings feature can then be used to import customized settings, for example allowing multiple users in the same company to create identical output. The Sessions settings in PDF-XChange Editor enable the saving of session data such as open editing windows/panes, their location on the desktop and documents open in the software. Use this feature to save your current session and return to it later, or share it with other users. A range of page layout options are available. View documents either one or two pages at a time, and in either static or continuous mode. Use numerous preferences and layout options to make the workspace your own. Group your favorite tools into a customized, dynamic toolbar/ribbon tab. A new setting has been added to the Tabs and Windows settings that enables users to hide the close button in document tabs. Note that if this setting is enabled then the mouse wheel can be clicked to close documents when the pointer is on the document tab. Custom cursors have been added for the Commenting and Page Editing tools. The pointer in PDF-XChange Editor now features a small, adjacent icon that updates depending on the format of content over which the pointer is hovered, which enhances the editing process. Additionally, similar icons appear next to the pointer when one of the Commenting tools is selected, which streamlines the process of comment creation/editing. Use the Microsoft Onedrive plugin to access files located on Microsoft Onedrive. Use the Box.com plugin to access files located on Box.com. Use the Stroke Adjust settings to enable/disable stroke adjust when rendering pages in PDF-XChange Editor. Switch between the classic UI and the new ribbon/touch-optimized options. The ribbon groups the tools of the software by functionality and streamlines the editing process, whereas the touch-optimized layout is ideal for tablets and phones. All UI formats are fully customizable. 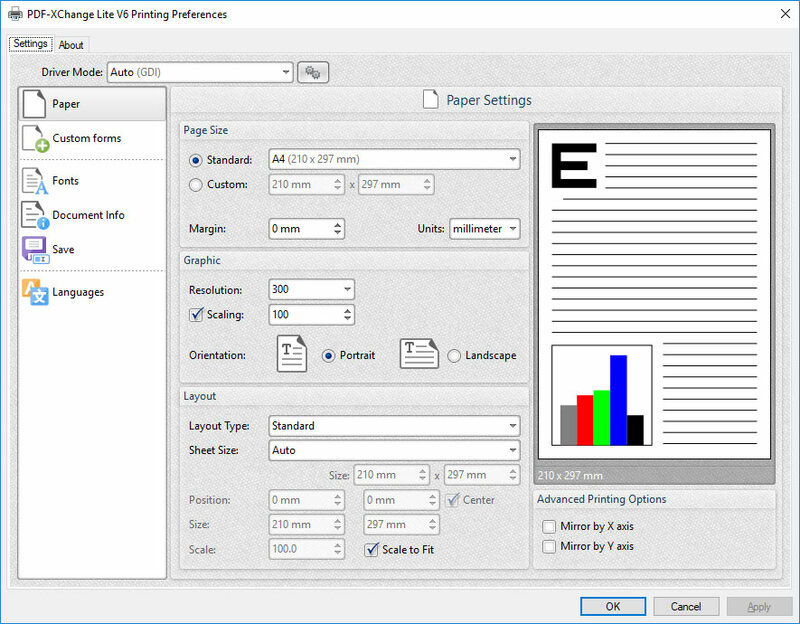 PDF-XChange Editor supports Mixed Raster Content, which significantly improves the compression quality of images that contain both binary-compressible text and continuous-tone components. Use the Word Count feature to calculate the number of words in your documents, and view a breakdown of the words in the document. PDF-XChange Editor features a range of Command Line Options that enable the dynamic use of the software from the command line. Use PDF-XChange Editor to view and edit PDF portfolio files. Note that editing Portfolio files requires a license. Use Shell extensions to create PDF thumbnails and document previews in Windows Explorer. Use the portable version of PDF-XChange Editor and work on the move. No installation required - just unzip and launch. Enable the autosave feature in order to automatically save changes made to documents and ensure that they are not lost if documents are accidentally closed. We have added the option to remove the close button from documents and panes in this build, as some users requested this option. The new page thumbnail selection options enable the selection of all thumbnails that contain a range of specified options such as content, bookmarks or search results. Display page boxes and guide lines in the pane of the Loupe tool. Use either the document filename or the document title as the tab title of documents. Vector-based cursors have been added to PDF-XChange Editor in order to make the cursors more suitable for high-DPI displays. Double-click on document text, or use Ctrl+Shift+arrows to select words. Update fields in MS Word documents before converting them to PDF format. Credential management for remote files and stored sessions is streamlined in PDF-XChange Editor. Rotation options are available in the Shell Extension preview pane of Windows. Options to force either the Ribbon or the Classic user interface, and an option to set the initial size (expanded/collapsed) of the Ribbon pane (in the context of the Browser Plugin) have been added to the Administrative Template. Tooltips are displayed during color selection that show the names of standard colors and the RGB values of colors. A new option has been added to the Accessibility preferences that makes it possible to change the cursor sizes in PDF-XChange Editor. Numerical identifiers have been added when the same document is opened in multiple tabs, in order to assist in document management. PDF-XChange Editor, and the other Tracker Software applications that work with XML documents, is immune from the Billion Laughs (DoS) attack. PDF-XChange Editor V7 includes an improved rendering engine that enables the viewing of high-resolution PDF files in maximum quality. PDF-XChange Editor V7 features over thirty default tools that can be used to comment and annotate documents, which makes it one of the most dynamic PDF editors available worldwide. 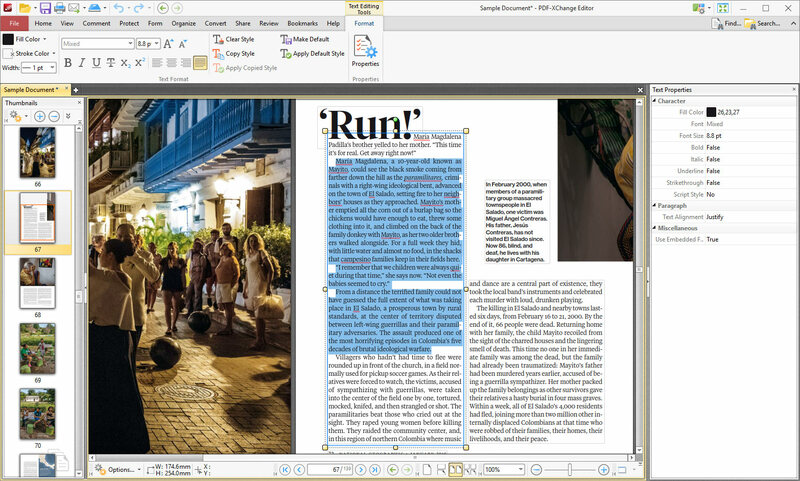 PDF-XChange Editor V7 enables the direct editing of base content in PDF documents, including text, images and shapes. PDF-XChange Editor V7 includes both Search and Find features that enable the fast, intelligent and fully-customizable analysis of document text. 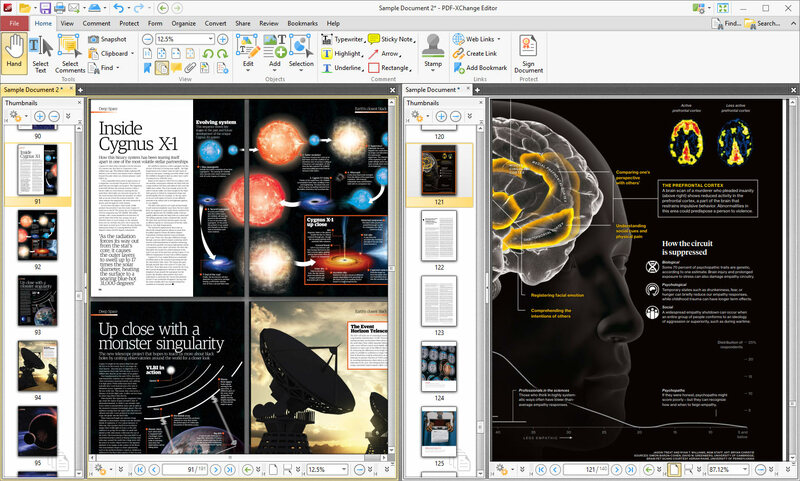 PDF-XChange Editor V7 includes a comprehensive set of standard and advanced printing options. 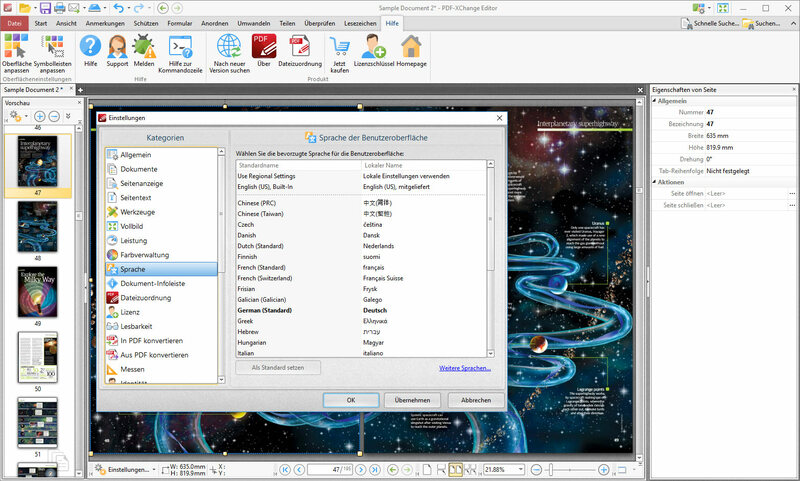 The PDF-XChange Editor V7 user interface supports a wide range of languages, and thirty languages are included by default. When PDF-XChange Editor V7 is purchased, another of our products - the PDF-XChange Lite V7 virtual printer - is included for free. PDF-XChange Lite V7 enables the conversion and printing of documents from a wide range of formats to industry-standard PDF. This video provides step by step instructions to create your own Custom Dymanic Stamps with the PDF-XChange Editor Plus. The PDF-XChange Editor evaluation version is free for private and commercial use, provided it is not bundled with other software for financial gain. When PDF-XChange Editor is used in evaluation mode many menu items are marked with a special symbol, which indicates that they are licensed features. These features can still be used, but watermarks will be present on output content, as detailed below. Please note that it is not possible to remove evaluation watermarks without a user license. If you want to experiment with the licensed features then we recommend creating a copy of documents with which to experiment. If you want to use a licensed version of PDF-XChange Editor to remove watermarks, then click Document in the menu toolbar, hover over Watermarks and click Remove All. PDF-XChange Editor Help Manual - To reduce the size of the Editor installer download file the Help Manual is now a separate download. The PDF-XChange Editor is now designed to allow creation of new PDF files from 3rd party document formats such as MS Office, images, plain text and more. Simply open the document with the Editor. If you wish to create new PDF files from other Windows applications (any that can print to paper) the PDF-XChange Editor license includes the PDF-XChange Lite Printer. The PDF-XChange Editor is designed to create PDF files from many file types - or to scan new pages from your scanner - as well as View/Modify/Annotate etc existing PDF files! We recommend all users who need to ask which version to download use the zip installer, (the only difference is one is wrapped in a zip file as some download management software will block '.exe' files) this will correctly sense and install for the Windows version you use, MSI installers do not and you must be sure you download the right version for your operating system. PDF-XChange UI Language support files can be found and downloaded from the Language Support page, as well as access to the Language Localization tools should a particular language pack not currently be available. Excellent user friendly program at an affordable price. Very good software, I like it very much. Acrobat was having licensing issues I couldn't resolve. I needed a capable PDF editor and had used PDF-XChange Free previously. I licensed PDF-XChange to complete a particular task, but I now use it in preference to Acrobat. Very happy with the purchase. It is an excellent product, very complete, fast and effective. I also value that, unlike other competitors, you are not "bombarded" with invasive advertising.